Arsène Wenger looks set to return to football, with four job offers to choose from, both in management and more directorial roles. The former Arsenal manager has enjoyed a break from the game since stepping down from his post at the Emirates last May after 22 years at the helm. The Frenchman, now rejuvenated after taking some time off, is ready to come back to the world of football. According to a report from the Times, Wenger has been offered the role of Director of Football at Paris Saint-Germain. If he doesn't return to his native France, the 69-year-old could also take a role as manager of the Qatar national team, who just won the AFC Asian Cup, beating Japan 3-1 in the final. He also has two concrete job offers from unnamed clubs in Europe. 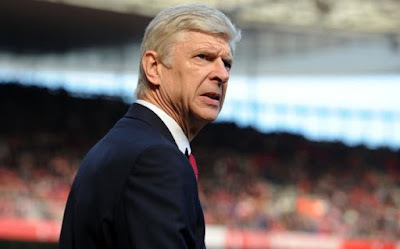 Some may be surprised that Wenger is not opting to enjoy a quiet life, having endured a gruelling last few years at Arsenal, but the veteran manager is not ready to give it all up yet. The Times' explains that Wenger has told his close friends that he is missing the day-to-day involvement of working with players, and is itching for a return to the game. Taking up a position as Director of Football at PSG, or managing Qatar, would be significantly less stressful than the final years of his tenure at Arsenal, which saw fans slowly turn against the man who had restored their status as one of the best clubs in English football. PSG's current sporting director is Antero Henrique, who has previously worked as vice president at Porto FC. It's not yet clear whether Wenger would work in tandem with Henrique, or push him out the door. Based purely on a hunch, it seems more likely that Wenger will take the Qatar job, as it would offer him more opportunity to work directly with players, while the PSG job would be more focused around scouting players.